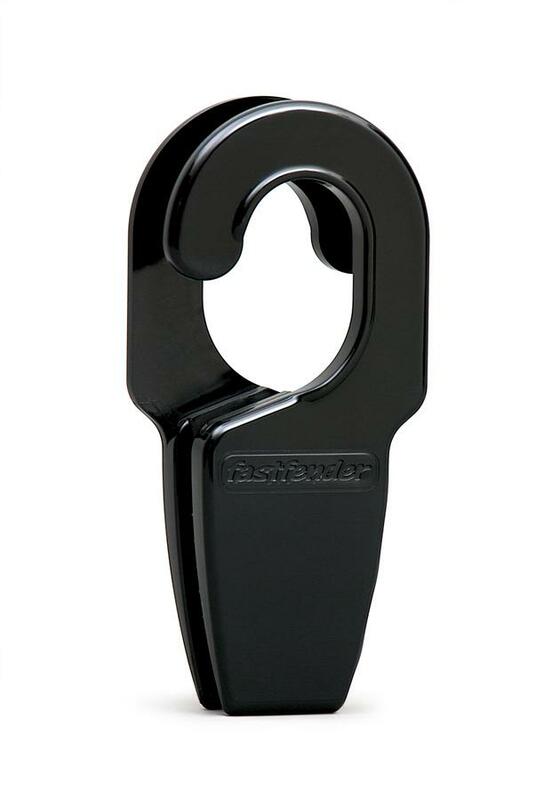 The Fastfender motorboat fender adjuster is designed for securing fenders on rails up to 1-1/4 in diameter. Will accomodate fender lines from 1/4" to 1/2". Made of durable and UV stable PA6 AWAMID. Colors available: White, Black, and Blue. Weather resistance: 3 stars. Maximum power transferring 150 kg of short duration, long duration 85 kg. Sold in Pairs.